Some of us posting here might do to think about their own health from time to time and maybe take a back seat for a while lest we 'burn out'? It's the old Pink floyd Wall's " banging your head against some mad buggers wall!" feeling! If you start to feel that knot tighten in your tum maybe time to go for a run?, tidy the yard?, watch a few clouds? This is all scary stuff and 'fear' is not a thing to habitualise to!!! Take a break , chillax a while, be well! Fear is the most important emotion to reach if we want people to defend themselves from climate change. Fear and only fear activates the fight or flight response. But that scientist is worried that he becomes a scaremonger. His resistance to becoming a scaremonger has nothing to do with the severity of climate change or protecting people. He just wants to protect his reputation and not feel fear himself. I agree. At least someone noticed. The last point is similar in appearance to the previous, but has a very different basis. Recent social science research (for instance, as discussed by Mann and Hasool (also here)) suggests that fear-based messaging is not effective at building engagement for solving (or mitigating) long-term ‘chronic’ problems (indeed, it’s not clear that panic and/or fear are the best motivators for any constructive solutions to problems). Michael E. Mann is distinguished professor of atmospheric science at Pennsylvania State University and director of the Penn State Earth System Science Center. Susan Joy Hassol is the director of Climate Communication LLC. Tom Toles is the editorial cartoonist for The Post. It is easy to understand why advocates for climate action have become somewhat dispirited in recent months. In the space of less than a year, we’ve seen the United States go from playing a leading role in international climate negotiations to now being the only nation in the world to renege on its commitment to the 2015 Paris climate accord. It is in this environment of defeat and despair that we’ve witnessed a dramatic rise in the prominence of climate doomism — commentary that portrays climate change not just as a threat that requires an urgent response but also as an essentially lost cause, a hopeless fight. Some of the more egregious examples can be found among fringe characters such as ecologist Guy McPherson —a doomist cult hero who insists that exponential climate change likely will render human beings and all other species extinct within 10 years. Such rhetoric is in many ways as pernicious as outright climate change denial, for it leads us down the same path of inaction. Whether climate change is a hoax (as President Trump has asserted) or beyond our control (as McPherson insists), there would obviously be no reason to cut carbon emissions. IMHO fear is a great motivator for immediate problems and actions. A very bad motivator for long-term/chronic problems with no discernible course of immediate action and no immediate negative outcome. Recasting climate change as a world war and the solution as moving to a war economy is IMHO a good approach. But I know many people who say "it's a long time from now, what do I care", and "I heard of these problems decades ago and nothing happened". So there's a limit to the fear people can take before they become numb. Back to methane in the arctic. Panic and fear are two very different things. Fear is a normal human reaction to danger, real or perceived. Fear activates the fight or flight response that allows humans to act against danger. Without fear we wouldn't have evolved as we would have ignored threats and perish. Fear feels very uncomfortable to humans but when properly handled fear enhances our senses and wits and gives us an edge against adversity. If not properly managed, fear may become panic. Panic is fear gone bad. When panic sets, mistakes are made on the fight or flight reaction, decreasing the chances of survival. Panic can manifest in different ways. In the case of climate change induced panic it can lead anywhere to severe depression to climate change denial. Fear without any hope of success may increase the chances of panic. Historically fear is an excellent motivator. Dictators and unscrupulous leaders use fear of non existent threats because it works. Climate change is a real threat. Whoever doesn't fear it is because they don't understand it. Fear of climate change is the appropriate reaction to the understanding of climate change and the only thing that will motivate people into the appropriate action. It is not immoral to scare people about real dangers. It is the natural order to tell people the truth even if it is scary, no, specially if it is scary. That is the only way people will jump into action. It is immoral to hide the dangers, because it blunts the reaction. Leaders are believing the fallacy that as long as they know about climate change a solution will be found without "scaring" the people. Guess what, most people can take it. Most people will react properly upon understanding the true scope of climate change. A few won't. That's a fact of life. But those who do react properly will do something. Some will do a lot, some a little, leaders emerge, work is accumulated and the stupid climate change problem is solved. But since climate change is a problem for 2100, who cares. fear seperates .. love unites .. love is far more useful .. love your fellow man and you will care for him too .. and work toward everyone's wellbeing .. b.c. fear can be and is permanently abused and leads to anarchy as well as ultimately wars and disruption. i'm really not a man of any church (institutional religion) but in fact solutions are written in the bible, over and over again when someone comes up with a really good idea, solution or approach i think, where did i read that again and again, it's in the bible (new testament) and the only solution is love and it's derivatives like respect, modesty, patience, knowledge, forbearance and goodwill. WTF has happened to this thread? I have a lot to say about this, but none of my draft messages are coming out right. So I will just say that I hope Wherestheice changes his mind. Ignore the trolls. We can all read the papers and see what they say. I think there might be some people from WUWT on here intentionally misrepresenting the papers and trying to frustrate people. We have lost too many good people lately, and I miss all the great science that this forum offers. With that said, and still off topic (sorry Shared Humanity) I want to give a shout out to Tealight, Interstitial and Tor Bejnar for their work regarding the disintegration of A68. A scientist recently posted an article on twitter and I'm pretty sure he was using your stuff. Too bad he did not give you credit! Keep up the good work! Thank you to all the people posting good science. I really look forward to seeing what you have to say each day. Even though it gets frustrating when people are obviously obfuscating the science, just ignore them and keep doing your thing. The LA Times article Morganism provided a link to is a very good plain-language overview of the science studies discussing possible reasons for the recent increases in methane emissions. I find it a bit funny that it's not necessary to invoke permafrost to explain all the methane. What the frack! What does it matter where the methane is coming from? When describing their work which appears in “Nature Climate Change”, Prof Chris Freeman commented: “We were amazed to discover that methane production from the converted rice paddies was massively higher than before conversion.” ... The conversion increased associated global warming potentials from 8.15 ± 0.43 to 28.0 ± 4.1 Mg CO2eq ha−1, primarily due to increased CH4 emissions. AGU Very strong atmospheric methane growth in the four years 2014 -2017 in #943 in this thread. The abstract does not mention when the conversion began but the article cites two sources and the second of those is the China Fisheries Yearbook 2013 so at least by then it was a factor so it shows up at the right time to contribute. If anyone who has access could quote some data on the historical growth numbers and estimated emissions from those that would be nice. The potential emissions reductions worldwide could stabilize methane levels in the atmosphere as was the case in the late 1990s. Ultimately, natural gas and oil use will be reduced to minimal levels to support industrial applications being replaced by renewable electricity powering buildings and transportation. Since methane's residence time in the atmosphere is about a decade, we can expect to see the concentrations in the atmosphere decrease during our lifetimes. Of course, there is nothing in the short term or long term trends that supports your statement that "natural gas and oil use will be reduced to minimal levels." If you ignore recent developments then the case looks bleak. Fortunately, the economics for renewables have improved greatly in recent years, to the point that they are now cheaper than fossil fuel plants. You counter my suggestion that oil and gas consumption will continue to climb with a response that focuses almost entirely on electricity generation using fossil fuels which will have little if any impact on the consumption of oil which is transportation based. If you want to understand the trends in transportation which is driving growth in oil consumption, I've posted a lot of industry data on the cars thread. EV's are simply not growing fast enough to prevent another couple of decades of growth in oil consumption. Although I suppose if you use ultimately to mean 40 years out, this statement may be true. But then, since we need to be carbon neutral by 2050, this would mean that, ultimately, we're screwed. It matters because methane emissions from anthropogenic sources can be reduced. I've cited the results that can be obtained by better detection of leaks from oil and natural gas drilling and distribution. The article on conversion of rice paddies to aquaculture ponds indicated that aeration of the ponds can reduce the emissions. And the fact that methane is 25 times more powerful as a greenhouse gas means that small reductions in human emissions of methane can have as much of an impact on reducing future temperature increases as larger reductions in carbon dioxide. (As Shared Humanity notes, we do have to reduce those to net zero by 2050 to 2070 to keep the temperature increase to less than 2 C). The costs for battery electric vehicles (BEV) are continuing to decrease, mainly due to the decrease of battery costs and improvements in battery technology. Meanwhile, ICE vehicles are a mature industry that have seen costs slowly increase over time. Also, some countries have laws or policies that will restrict the sales of ICE vehicles in the future. China, the world's largest auto market, has set aggressive goals for the adoption of BEVs as noted in this story from 2018. It's challenging to reconcile methane emissions from various sources based on economic data (bottom's up estimates) with the calculated emissions to arrive at the concentrations in the atmosphere and the annual growth rate in the concentrations combined with field measurements taking air samples over emitting sources (top down estimates). The changes in estimated natural emissions from El Nino/La Nina shifts and the impacts of the precipitation on tropical wetland emissions can overwhelm changes in emissions from human sources. And that doesn't take into account the debate on how much methane is being emitted from the ESAS, as we've been discussing in this forum over the past few months. The estimates for the ESAS emissions range from 2 to 17 Tg per year, depending on how measurements over a small part of the ESAS are estimated to apply to the entire ESAS. Here's a study from 2018 discussing agricultural sources of methane emissions. at 678 Tg CH4 yr−1 with a range of 542–852 for the 2000–2009 decade. (36 Tg CH4 yr−1) and biomass burning (35 Tg CH4 yr−1) (IPCC, 2013). The article below estimates that the inbalance of methane emissions (causing the increase in concentrations of methane in the atmosphere since 2007) is 25 million tons (or 25 Tg). They estimate that increased fossil fuel production since 2017 is responsible for 17 million tons (or 17 Tg) of the increase. So compared to the increase in emissions from fossil fuel production, the increase from additional aquaculture is probably about an order of magnitude (10 times) less. Here's the article from January 2018 summarizing the study on increases in methane emissions from fossil fuels. The Intergovernmental Panel on Climate Change (IPCC) has shown that since preindustrial times, methane has been responsible for 20 percent of global warming and nearly 40 percent of the climate forcing, a direct measure of the amount that the Earth’s energy budget is out of balance. Methane currently contributes almost 40 percent to the heat-trapping effect of all human-produced greenhouse gases in the atmosphere. And this problem is only getting worse. As NASA explains, since just 2006, methane concentrations in the atmosphere have risen sharply and are currently causing an overbalance of more than 25 million tons per year. Clearly this cannot continue if we have any hope of limiting global temperature rise to 2 or even 3 Celsius degrees, as outlined in the Paris Climate Accord. Enter the recent NASA study. Its research confirms that 17 of the extra 25 million tons of annual methane emissions come from the fossil fuel sector—or nearly 70 percent of all new emissions! During this period, there has been a massive increase in hydraulically fractured oil and natural gas production while coal mining has remained constant. In addition, natural gas wasted in unproductive flares and vents to the atmosphere have been on the increase for the past eight years. By inference, the increase in both petroleum production and the intentional wasting of the associated gas provides a smoking gun to the spiking atmospheric concentrations of methane. Reliable methane emissions estimates in the oil industry are lacking since measurements of partial combustion and vents are close to absent, and measurements of gas leakage from transport and distribution are scarce. Too many scientifically based studies have been published to continue to ignore the problem of methane emissions from the oil and gas industry. The time to fix this problem is now. Our best chance to address runaway methane emissions is to tighten up the oil and gas supply chain where large amounts of methane are intentionally vented and unintentionally leaked. Rocky Mountain Institute’s Global Race for Zero Methane Emissions Challenge is doing just that, aiming to reduce climate-change-causing methane impacts of the oil and gas industry by 5.6 billion metric tons of CO2 equivalent emissions. Starting with major oil and gas companies, methane reduction must become the oil industry’s priority, as opposed to being treated simply as a regulatory hurdle. To this end, there are some encouraging signs of commitment by certain companies that recently signed a set of Methane Principles. However, this commitment must be followed up with real action in the form of tens of thousands of methane abatement projects across the oil and gas supply chains. To make these projects happen faster, petroleum ministries and national and international oil companies need to reexamine their 100-year-old business models and open up their protected markets to entrepreneurial forces. To solve the industry’s methane problem, the industry needs to mobilize a “gold rush” of activity that is supported by national budgets, multilateral financing, and commercial banks. Another solution would be for people to press for Governments to limit or ban fracking for oil or natural gas. To further demonstrate how confusing studies of methane emissions can be, a different study on the conversion of rice paddies to aquaculture ponds published in 2018 found that the conversion reduced methane emissions. Inland aquaculture ponds have been documented as important sources of atmospheric methane (CH4) and nitrous oxide (N2O), while their regional or global source strength remains unclear due to lack of direct flux measurements by covering more typical habitat-specific aquaculture environments. In this study, we compared the CH4 and N2O fluxes from rice paddies and nearby inland fish aquaculture wetlands that were converted from rice paddies in southeast China. Both CH4 and N2O fluxes were positively related to water temperature and sediment dissolved organic carbon, but negatively related to water dissolved oxygen concentration. More robust response of N2O fluxes to water mineral N was observed than to sediment mineral N. Annual CH4 and N2O fluxes from inland fish aquaculture averaged 0.51 mg m−2 h−1 and 54.78 μg m−2 h−1, amounting to 42.31 kg CH4 ha−1 and 2.99 kg N2O-N ha−1, respectively. The conversion of rice paddies to conventional fish aquaculture significantly reduced CH4 and N2O emissions by 23% and 66%, respectively. Total vehicles in China just topped 300 million. 24 million new cars hit the roads in China in 2018. Most of these were ICE's. I'll respond to this post here, but we should probably take further discussion to the Cars, Cars,... forum. Yes, currently more ICEs are begin sold than EVs. The question is for how long? 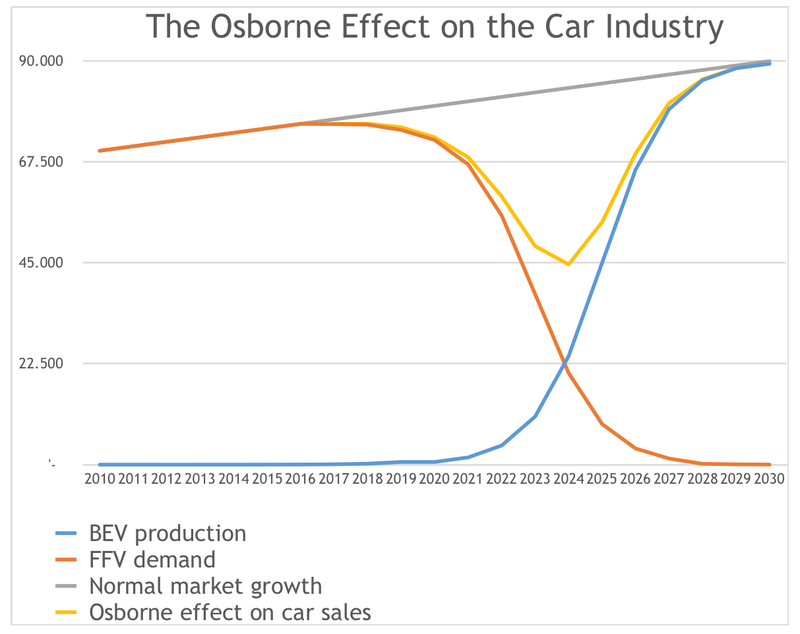 The article I posted predicts that in the mid-2020s, less than 10 years, more EVs will be sold then ICEs. There's already evidence that EVs are cutting into demand for ICEs. According to publicly available data, sales of fossil fuel-powered cars were down in China, Europe AND the United States last year, while sales of electric cars were significantly up. In the world’s largest auto market, China, total light duty vehicle (LDV) sales declined in 2018 relative to 2017. This was the first year-on-year drop since 1992. Yet, in this shrinking overall auto market, EV sales (including BEVs and PHEVs) almost doubled in volume to 1.1 million, from 600,000 in 2017. The numbers aren't quite as dramatic in the US and Europe, but they are both still moving in the right direction. In the US, for example, LDV sales were 17.274 million, up from 17.230 million the year before—but EV sales were up 160,000 to 360,000 during the same timeframe. In other words, increased market share and a decline in absolute terms of fossil fuel-powered cars. Meanwhile European LDV sales ticked up an even smaller 0.07 million to 17.75 million overall, but with 408,000 electric vehicle sales (up from 307,000 the year before), the entirety of that increase—and then some—was due to electrification. 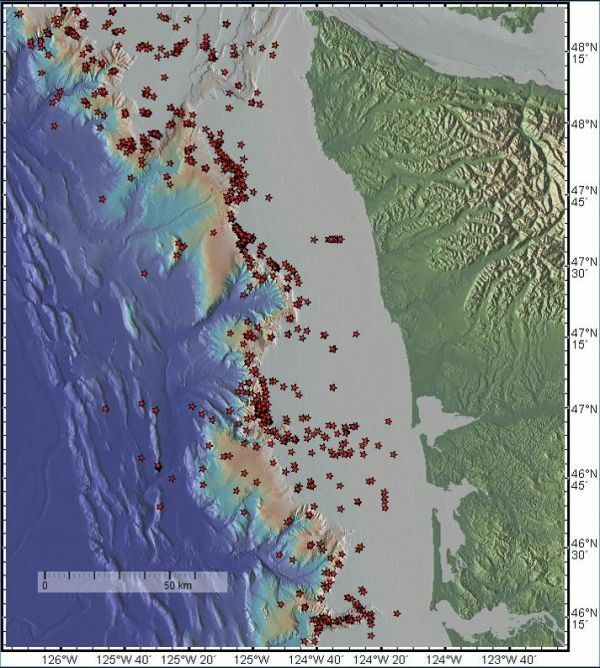 The first large-scale analysis of these methane gas emissions along Washington's coast finds more than 1,700 bubble plumes, primarily clustered in a north-south band about 30 miles (50 kilometers) from the coast. 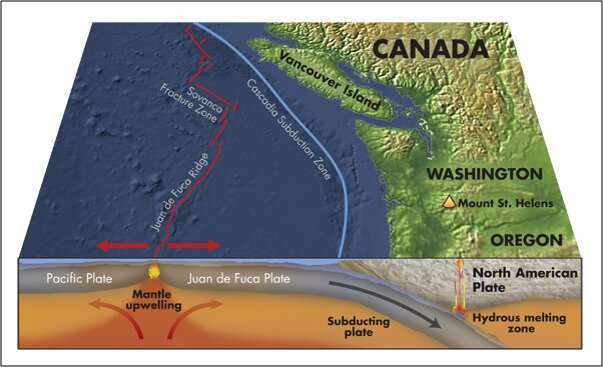 Analysis of the underlying geology suggests why the bubbles emerge here: The gas and fluid rise through faults generated by the motion of geologic plates that produce major offshore earthquakes in the Pacific Northwest. ... "Although there are some methane plumes from all depths on the margin, the vast majority of the newly observed methane plume sites are located at the seaward side of the continental shelf, at about 160 meters water depth," Johnson said. With natural gas booming across the Front Range, drilling rigs may operate within feet from cattle farms. That shared land use can confound attempts to understand trends in methane, a greenhouse gas and air pollutant—the gases emitted from these different sources blend together. To untangle them, a CIRES-led team has innovated a new, cost-effective technique to efficiently measure methane and a cocktail of associated chemicals in the atmosphere, and to create a kind of chemical identification tag for methane sources. degradation of ethane: Single-celled organism that oxidises ethane on the seabed. "the archaeon is responsible for the oxidation of ethane to carbon dioxide, and the accompanying bacteria for reducing sulphate to sulphide. "We are now aware of the mechanisms underlying the degradation of short-chain hydrocarbons by 'alkyl'-CoM reductases, and we assume that the reverse reactions may be feasible. If demonstrated, this means biotechnologies to produce hydrocarbons using these or similar microorganisms," says Musat. This could mark the beginning of new biotechnological applications to produce synthetic fuels." "Taxonomic profiling of metagenomic data based on the NCBI-nr database revealed that bacteria accounted for the majority of the population at all depths in both FL and PA samples, compared to archaea and eukaryotes"
"a Microbial community shifts at order level with depth. b Microbial community shifts at genus level with depth." "However, the predominance of Oceanospirillales, along with MCP, alkB, and type IV pilus assembly genes in NBW, resembles the situation (dominant microbial communities and functional genes) in the Deepwater Horizon spill "